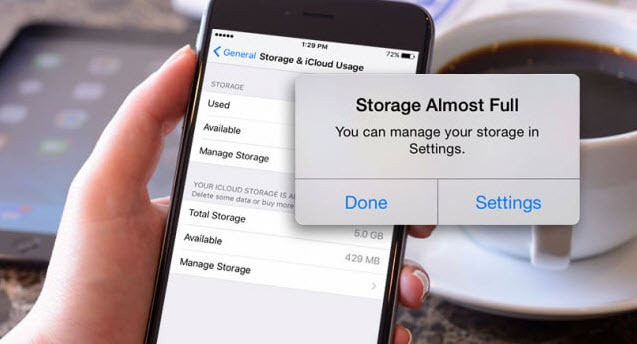 As iPhone users, encountering the alert “iPhone storage almost full” is pretty familiar. And you may ask: "why? I don’t think I have overused it? I just have several third party apps and less than 50 songs! Why iPhone says storage almost full when it's not? " Well, let us analyze the reasons and discuss the solutions to fix it. 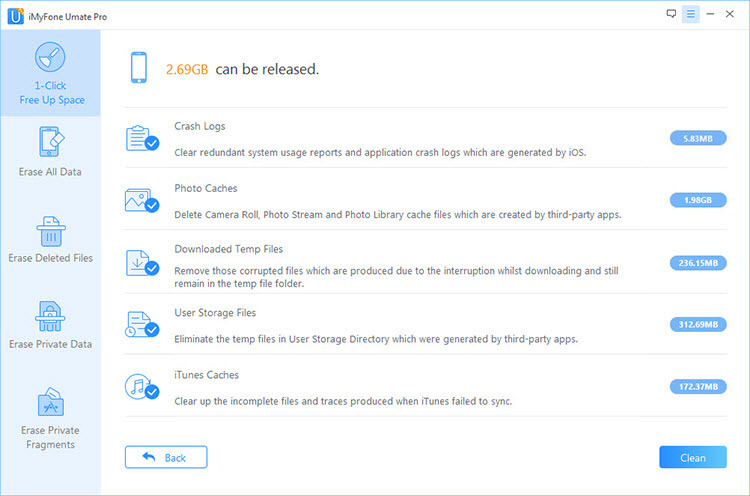 Common Reasons Leading to "iPhone Storage Almost Full"
Too much use traces, such as app caches, temporary files, download logs, user storage files and more. Shoot or download too many photos and videos. Too many previously deleted files still exist on your iPhone. So in the course of using iPhone, more and more data is piled up on iPhone (even on iPhone X), visibly and invisibly, especially for these 16GB iPhone 5S/5C/SE. iPhone storage almost full leads to not only can't take more photos/videos, it may even lead to black screen or iPhone freezing! On your iPhone, go to "Settings > General > Storage & iCloud Usage > Manage Storage". You can check the used or available space there. So does iOS 12. Using iTunes. Connect your iPhone to computer and launch iTunes. Hit the device icon. You will see the storage detail at the bottom on the right panel. One of the reasons your iPhone storage full but it's not is the failure to clear up app caches, fragments and some junks. iMyFone iPhone Cleaner / iMyFone iPhone Cleaner for Mac can do this well. It can help you to totally remove useless and hidden files from iPhone, so as to save sapce and also improve its performance. Clean Junk & Temp Files: It has the 1-click function to delete all hidden junk files on iPhone, like App caches, cookies, crash logs, corrupted files, etc. It is for free trial. Erase Third-Party Apps Fragments: The incomplete fragments or caches left by third-party apps will be found out and permanently deleted, like WhatsApp, Snapchat, LINE, Viber, etc. Step 1: Connect your iPhone to computer and launch iMyFone iPhone Cleaner. Step 2: Hit "Quick Scan" on the home interface. It will carry out a deep analysis of your iPhone space. Step 3: Hit "Clean" button beside "Junk Files". Check the junk you want to clean and hit "Clean" button again to confirm. Note: To erase incomplete fragments of third-party apps, you can choosoe the "Erase Private Fragments" mode. 2 Move Photos to iCloud to Fix "iPhone Storage Full"
Do not forget the official cloud space provided by Apple? iCloud provides 5GB free space for each Apple account. Original photos can be moved to iCloud, which would save you huge photo storage. On your iPhone, go to "Settings > iCloud > Photos". 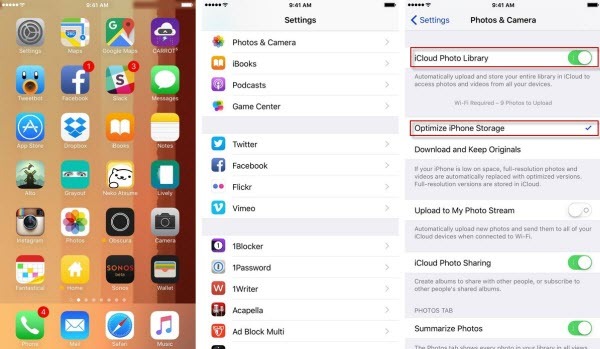 Turn on "iCloud Photo Library" and check "Optimize iPhone Storage". 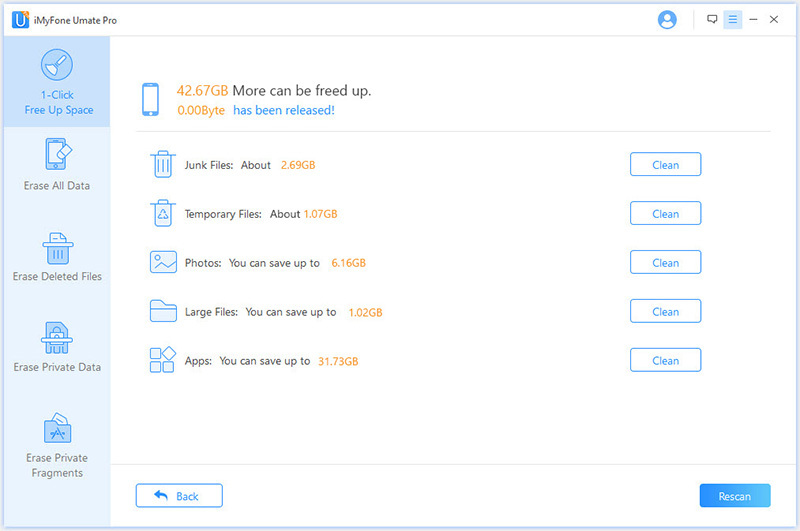 If your iPhone storage almost full, full-resolution photos and videos will be automatically replaced with optimized versions on your iPhone. If you never clean your iPhone, you must find that all the frequently-used apps have a large amount of documents and data. It is normal as not only important files but also some junk files are stored in apps. 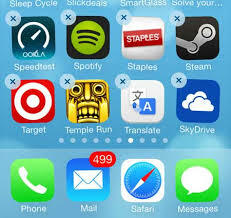 To remove such huge space occupied by app documents and data, a simple way to make it is to uninstall apps and then reinstall them from iTunes Store. Due to the superb video, music and photo quality of iPhone, there is always a tendency of taking too much photos, videos and music which tend to eat up so much space on your iPhone. It's suggested to back up media which aren't frequently needed and delete them from iPhone. You can consider iPhone Media Manager for help. Of course, you can restore backup anytime. Backup iPhone music/video/photos to computer, iTunes, external hard drive. 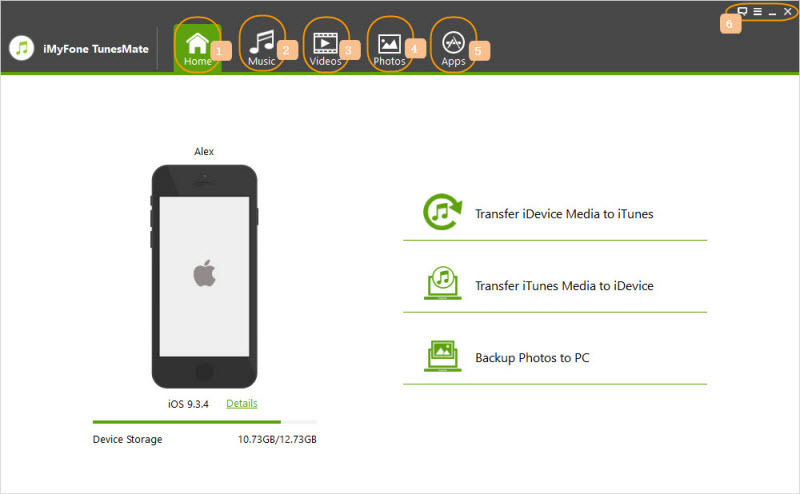 Transfer files to iPhone from computer/iTunes/external hard drive/CDs. Free to delete unwanted music/videos/photos/apps in bulk or all at once. Note: If you don't want to delete photos, you can also losslessly compress photos, saving 75% photo space. Normal deletion of files through your device Delete button is not enough because files deleted can be easily recovered. If you want to delete some unwanted data, you'd best permanently delete them from iPhone, no matter for more free space or privacy safety by iMyFone iPhone Eraser. 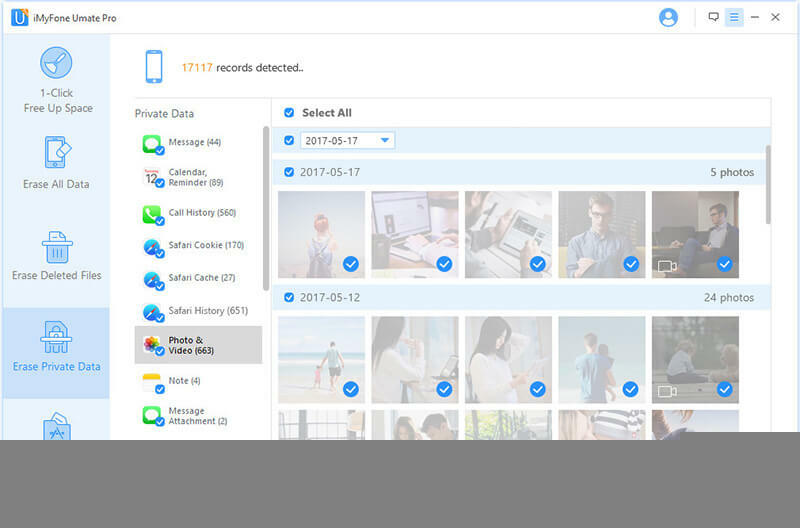 Permanently erase private contacts, call history, photos & videos, messages, note, Safari history, WhatsApp, WeChat data, etc. Find out previously deleted files and completely remove them from iPhone hard drive. Completely reset all iPhone data and settings to make it safe for resale. Step 1: Launch the program and run it, then connect your iPhone. Step 2: If want to permanently erase your data, choose from "Erase Private Data". You can preview and select photos or other data. Step 3: Click "Erase Now" to start iPhone cleanup. Note: If you have manually delete unwanted private data, you can also use "Erase Deleted Files" to find them out and completely erase them. If your iPhone is old, or you used it for years, you can consider reset your iPhone to factory default settings. It would make it totally clean. Do not forget to back up your iPhone first. 1. Launch iTunes on your computer and connect your iPhone to it with USB cable. 2. Click the device icon at the top left corner on iTunes. 3. You can find the "Back Up Now" button at the right panel. 4. Once then, please click the "Restore iPhone" there again to bring your iPhone back to default settings. 5. Once done, go to the "Restore Backup" button at the device page on iTunes. Wait until the backup is updated to your iPhone. This way will fix the iPhone storage full error by restoring available space back. Please note that, using the restore function on iTunes will also update your iPhone to the latest version of iOS. If you do not like that, you can go to "Settings > General > Reset > Erase All Content and Settings" on iPhone. those darn iphones we figured you out! so good, I sent this to my mom and she was even able to understand ha! backup and deletion in only one click? Talk about easy! Too many tips and do not want to try all tips, the one click solution works well! I believe every people wants a easy way to fix the iPhone storage full problem. I will try the last method.